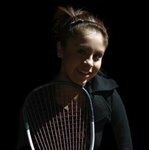 Paola Michelle Longoria López born July 20, 1989 is a Mexican racquetball player. 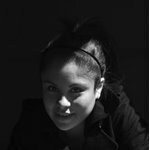 She is the 1 player on the Women's Professional Racquetball Organization WPRO tour, and was the first Mexican woman to attain the #1 ranking on doing so at the end of the 2008-09 season. She repeated the feat at the end of 2009-2010 season, and regained that status during the 2011-12 season. Longoria's style is characterized by a semi-western grip of the racquet, which is unusual for racquetball; Longoria is the only pro player using this grip style. Longoria has won 16 Tier 1 or Grand Slam events on the WPRO, including two US Open Racquetball Championships in 2011 when she defeated Rhonda Rajsich in the final, and 2008 when she beat Cheryl Gudinas in the final, becoming the first Mexican - woman or man to win that event or even reach the US Open final. Her first WPRO tournament win was in 2007. Longoria finished as the 1 WPRO player at the end of the 2008-09, 2009-10 and 2011-12 seasons. Longoria is current World Champion in women's doubles winning the title along with Samantha Salas. They beat American couple Aimee Ruiz and Jackie Paraiso in the final to become the first Mexican women to win a World Championship in singles or doubles. Longoria won three gold medals for Mexico at the 2011 Pan American Games in both singles and doubles as well as the team competition in what was her first Pan Am Games appearance. Samantha Salas was her doubles partner. Longoria won the Pan American Championships in 2006, 2008, 2010 and 2012.She's also won gold at the Pan Am Championships in doubles with Salas in 2011 and 2012. Her six Pan Am Championship titles are tied for second most by a woman with American Michelle Gould and trailing American Jackie Paraiso, who's won ten. Longoria won the gold medal at the 2009 World Games, defeating the American Rhonda Rajsich in the final. Also, Longoria won eight consecutive International Racquetball Federation IRF World Junior Championships from 2001 to 2008, winning twice in each age category from 12 and under, 14 and under, 16 and under, and 18 and under.